Good friends are the perennials in the garden of life. The road to a friend’s house is never long. 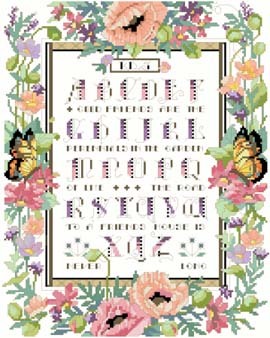 Butterflies and flowers highlight this tender message that is written between letters of the alphabet.